Skuli Mogensen is the founder and CEO of WOW air. He has over 20 years of broad and business experience in the technology, telecoms and venture capital industries as investor, CEO and Entrepreneur. Skuli is an active speaker on both sides of the Atlantic. He has been recognized as one of Europe’s top entrepreneurs based on his work at OZ Communications, which he co-founded and was the CEO and chairman of. OZ was acquired by Nokia in November 2008. 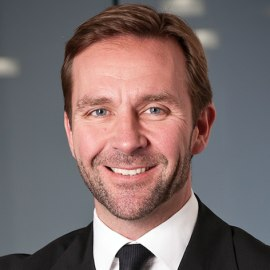 Currently he is the CEO and a board member of WOW air, Vice Chairman of the board of MP Bank in Iceland and a board member of Cargo Express, Carbon Recycling International and Redline Communications, publicly traded company on Toronto Stock Exchange (RDL). Skuli is an active triathlete, co-founder of WOW Cyclothon, which is a charity event for different charities each year and an active sponsor of charities and artists. He was selected a Businessperson of the Year 2011 in Iceland.